Hyderabad: A year and a half ago started the Hyderabad metro rail project poised for completion by March 2019. The lenders take more time than usual in construction major L&T more time for commercial operation up to July 2019, with a corresponding increase in loan period. 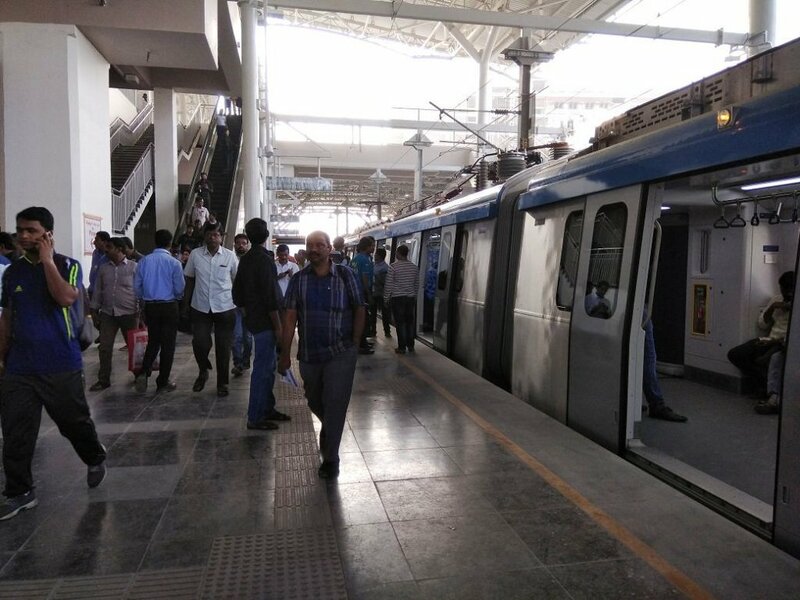 From 30 September 2020, the loan repayment will start as per the revised schedule, the metro rail project, being implemented by concessionaire L&T. Even though the corresponding cost implication due to delays in securing the right of way to implement the project is being assessed for claiming compensation, according to L&T’s annual statement to its shareholders. The total cost of project ₹16,375-crore elevated metro rail project under implementation which covers the 72 km rail and 6 million sq ft of transit-oriented development. This is being funded by a term loan of ₹11,478 crore, equity share capital of ₹3,439 crore and a Viability Gap Fund from the government of ₹1,458 crore. In facilitating construction and right of way the State government has invested more than ₹2,000 crore. The L&T has as of March 2018, invested ₹14,723 crore in the project and ₹2,241 crore during 2017-18. In November Prime Minister Narendra Modi commissioned a 30-km stretch. And the other two stretches, which will mark the completion of two of the three corridors, are expected to be commissioned by September and October-November. And by the March-April 2019 the other stretch old City segment, where there are right of way challenges. The commercial, operations at two locations including at the IT hub of Hitec city have commenced, and at two other locations are close to completion, stated L&T. Efforts are on to develop a couple of other locations. The metro concessionaire which is exploring non-fare revenue generation through cross-selling of products to commuters. This is seen to further get strengthened by metro expansion, which will result in higher ridership. The Telangana government has also planned to implement phase II of the metro project, covering 85 km, including providing an airport link. This will enhance the average ridership on the metro system significantly.